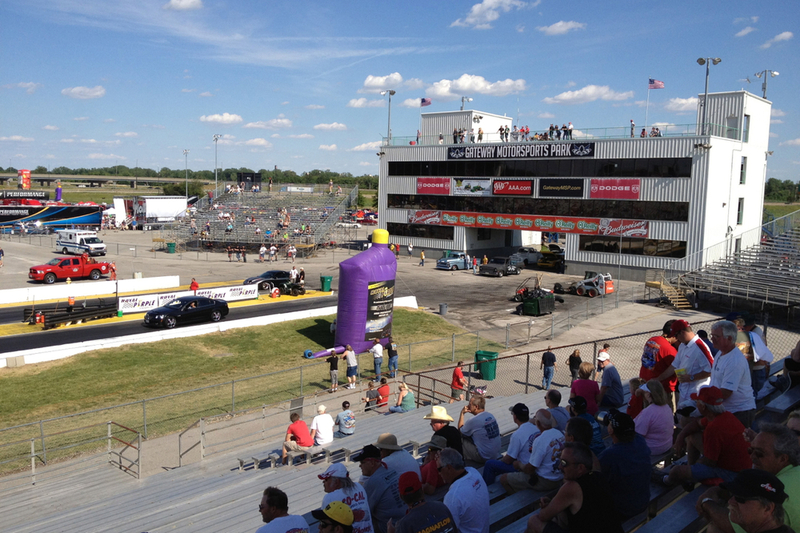 Part of the festivities of any Hot Rod Power Tour is drag racing. And drag racing means burnouts. Mix a generous parts of raw horsepower and "tires to burn" with a little water and the results are smokin'! The students of the Engineering Science and Technologies department at Parkland College treated the crowd to a spectacular burn out at the Gateway Motorsports Park in Madison, Illinois with their student-maintained drag car, "The Learning Curve." The Learning Curve . . . is a 1980 Chevrolet Malibu with a upgraded 500 horse powered 6.0L GM engine with a TH400 trans, 4.11:1 gear ratio and Moser axle. 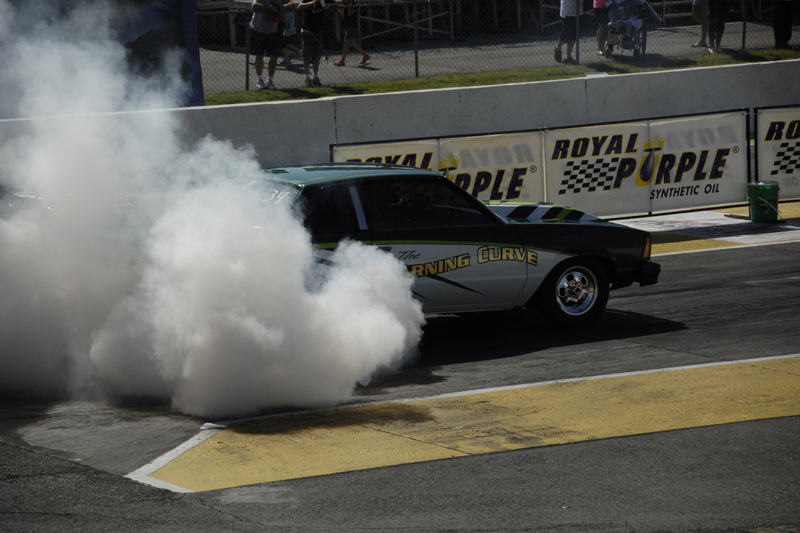 The racecar is a green machine running on E85 fuel with a fastest run time in a 1/8-mile drag race of 7.04 seconds. "Motor Sports Program a great way for students to enjoy EST." www.prospectusnews.com. Accessed on June 5, 2012. For more on Parkland and The Learning Curve, click here.